Taking ahead its hearing on batch of petitions, one of them taken suo motu by it on the contentious issue and recurring complaints of gender discrimination suffered by muslim women arising out of several rules in its personal laws like triple talaq and polygamy, the Supreme Court today asked all parties including the Centre and All India Muslim Personal Board to frame legal propositions requiring consideration. “It is a very important issue. Everyone needs to be heard. We will hold a preliminary hearing if there is need for deeper consultation we might even refer it to larger bench.Frame issues on what is the scope of judicial review in this matter at the same time if we feel that the law is settled we will not interfere Legal propositions which call for consideration have to be framed first. Do it within six weeks”, a bench headed by chief justice T S Thakur told lawyers of all parties. The bench separately asked Centre to file its reply to the slew of petitions filed on the issue. On the last hearing the court had asked the Centre to produce the report of its high level committee on “women and law” which had done an assessment of family law with focus on law relating to marriage, divorce, custodial rights and inheritance and succession. Apparently, the report has not yet been made public. The court had asked Additional Solicitor General Tushar Mehta to respond to the suo motu petition by a two judge bench of the court on October 16 and answer to the question if "gender discrimination" suffered by Muslim women should not be considered a violation of the Fundamental Rights under Articles 14, 15 and 21 of the Constitution and international covenants. 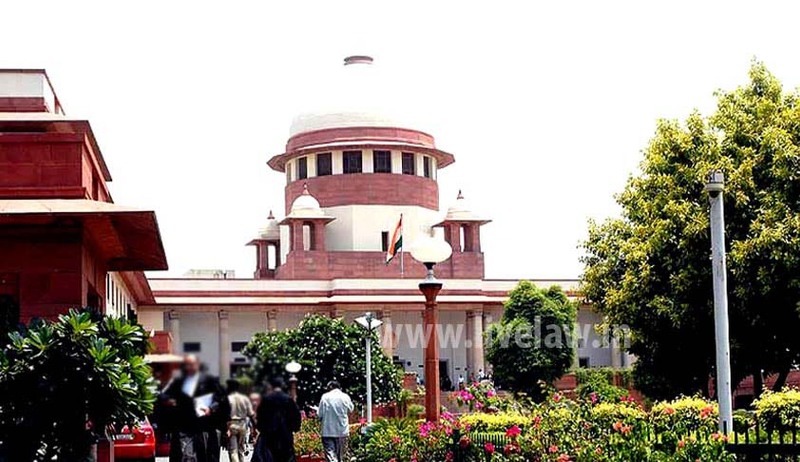 The suo motu writ petition has been registered by the Supreme Court for considering the rights of Muslim women in issues concerning marriage, divorce and maintenance and whether the current practices under Muslim Personal Law regarding marriage, divorce and maintenance are violative of Part III of the Constitution. Meanwhile the Supreme Court refused to restrain the All India Muslim Personal Law Board from making public statements on the issue. Advocate Farha Faiz, who is also party to the suo motu petition being heard by the apex court filed an application that a direction be issued to restrain media trial, which is being done on the contentious issue of Muslim womens rights and members of All India Muslim Personal Law Board (AIMPLB) be restrained from issuing misleading and dangerous statements on the issue. “We will keep your application pending. We will not restrain anybody at this stage. If we feel the issue is going out of hand, we will decide then”. The lawyer, who said she is the national president of the Rashtrawadi Muslim Mahila Sangh (RMS), an NGO which claims to be fighting for protection to Muslim women and their life, liberty, rights and education. In a passionate speech inside the court, at times breaking down, she said she apprehended that “during the month of Ramazan, Muslim people gather for Taraweeh (Special prayer during Ramazan) and they could be easily misled by such statements, which could be a danger to the society”. “AIMPLB should be restrained from misusing the platform of media and creating a harsh communal atmosphere promoting its self drafted family constitution that is Majmua Qwanen-e-Islami”, she told the chief justice. It is to be noted that All India Muslim Personal Law Board has filed an Interlocutory Application in the case. The AIMPLB has submitted that the issue of Muslim Personal Law is cultural issue, and it is inextricably interwoven with Islam. It has argued that it is the issue of freedom of conscience, guaranteed under Article 25 and 26 read with Article 29 of the Constitution. The AIMPLB has contended that the questions being examined by the Supreme Court in the present case has already been dealt with by the Court in Ahmedabad Women Action Group v Union of India [(1997) 3 SCC 573.] In this case, the Supreme Court held that these were matters wholly involving issues of state policies, with which the Court has no concern, and therefore, to be dealt with by the legislature. The AIMPLB has also submitted that the Part III of the Constitution does not touch upon the personal laws of the parties, and therefore, the Supreme Court cannot examine the question of constitutional validity of the practices of marriage, divorce and maintenance in Muslim personal law. The AIMPLB has argued that the framers of the Constitution were fully conscious of the difficulties in enforcing a Uniform Civil Code and thus they deliberately refrained from interfering with the provisions of the personal laws and laid down only a directive principle. The AIMPLB has also cautioned the court that if lays down special rules for Muslim women in marriage, divorce and maintenance, it would amount to judicial legislation. The AIMPLB has further argued that the rights of Muslim Women are already protected by virtue of Muslim Women (Protection of Rights on Divorce) Act, 1986, whose constitutional validity has been upheld by the Supreme Court. Prescribing other parameters to govern the rights of Muslim women, would amount to judicial legislation, which is not permissible, the AIMPLB has said.